QUEEN LIGHT QHP-908 – Seam Seal International Inc. 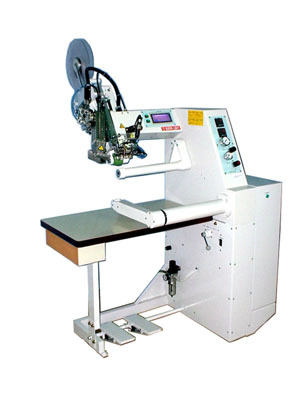 Indemnify taping quality to be actualized by the heated upper roller is only available with QHP machine, Particularly this mechanism shows it's true ability for taping of three layer tape onto three layer fabric. Well-designed functional supplementary devices are available. Same concept with QHP-905 for control unit.